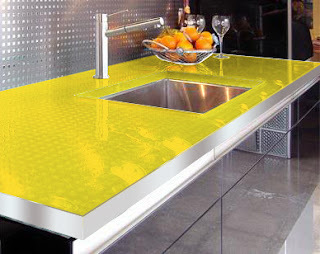 My absolute favorite counter tops are laminate glass. Color is my passion, and these counters are such a sleek, modern way of adding pop and making a statement in any space. They wipe clean and shine so beautifully. With so many colors to choose from, these are definitely a "top" choice!